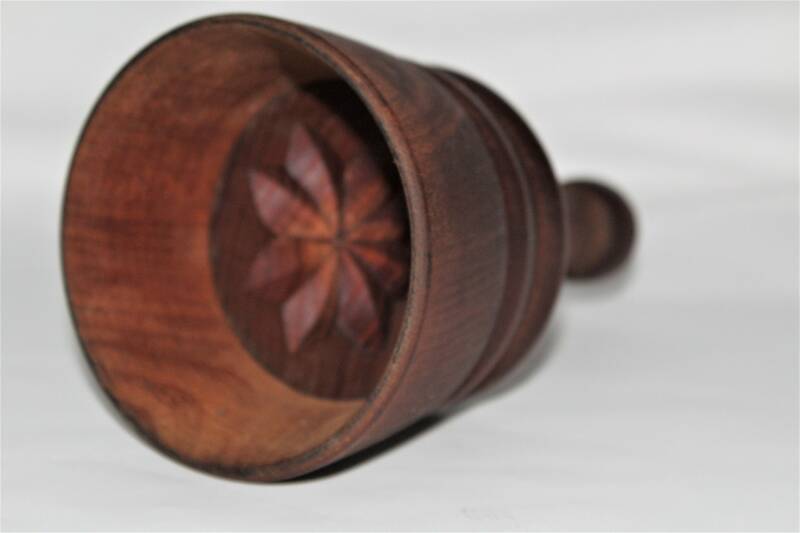 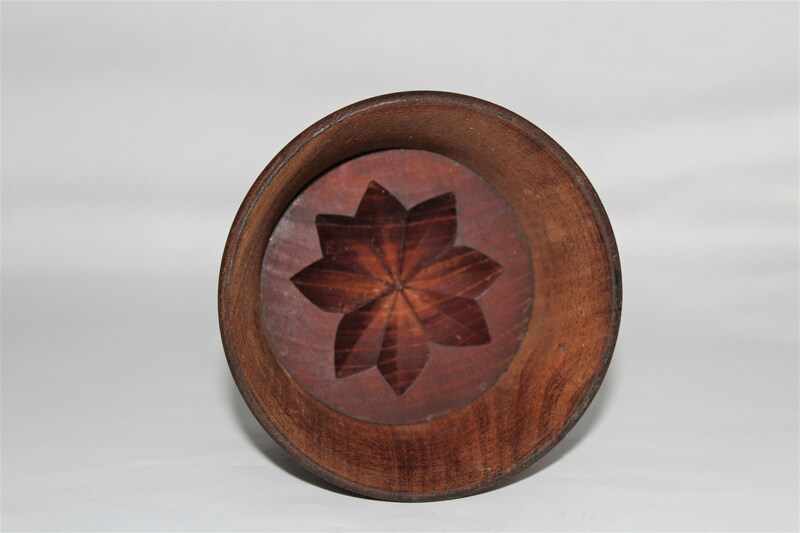 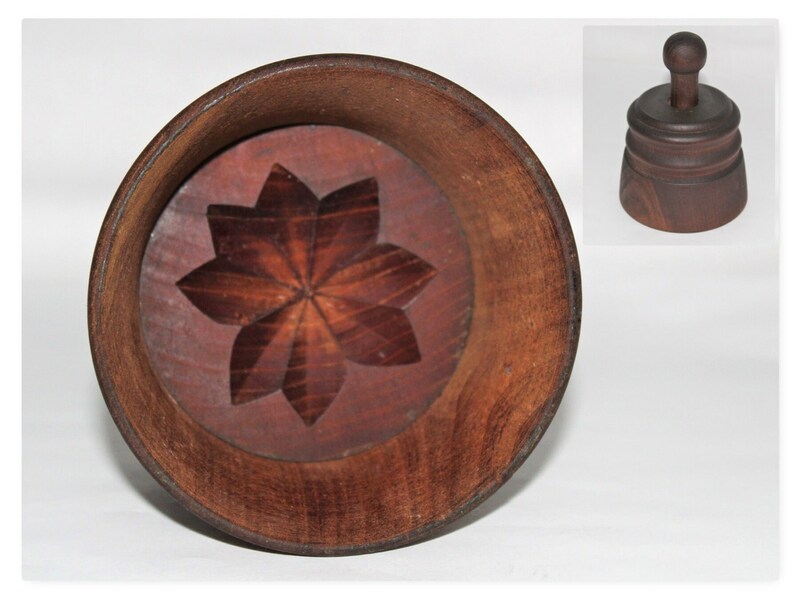 We have for sale Primitive Wooden Butter Press Mold with Flower Petal Pattern Design. 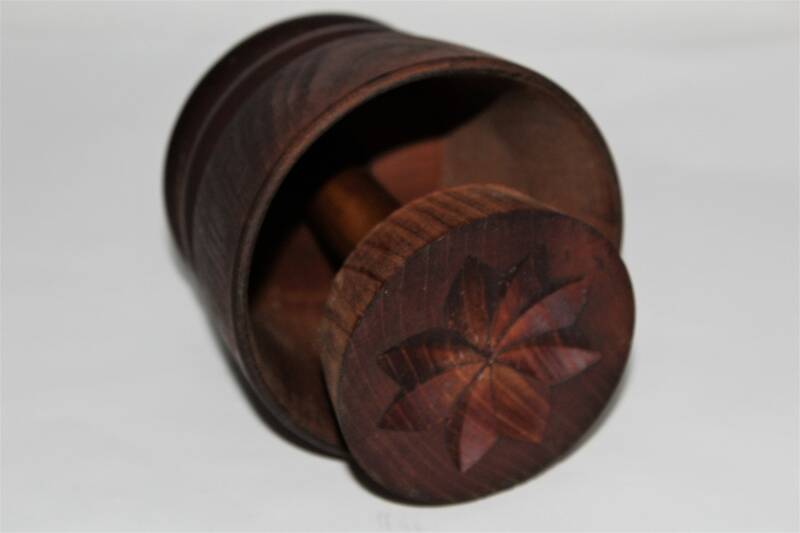 Wonderful antique Half Pound Butter Press Mold with an eight-petal flower pattern design. 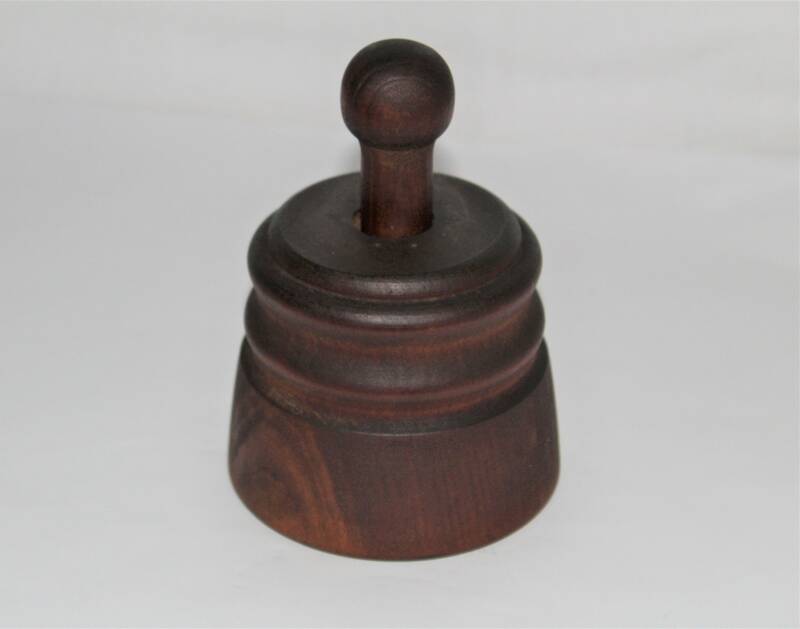 This was a very decorative way to dress up your table in the 1800s after churning the butter you would place approximately one-half pound of butter into the press and push the handle down to reveal the oval shaped butter with your design on the top. 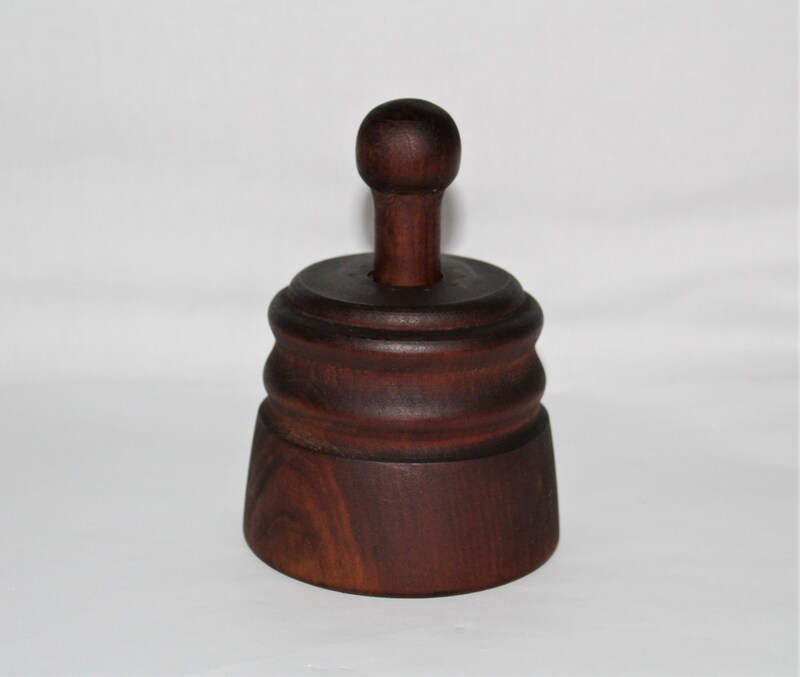 This is a true antique not a remake found in Iowa. 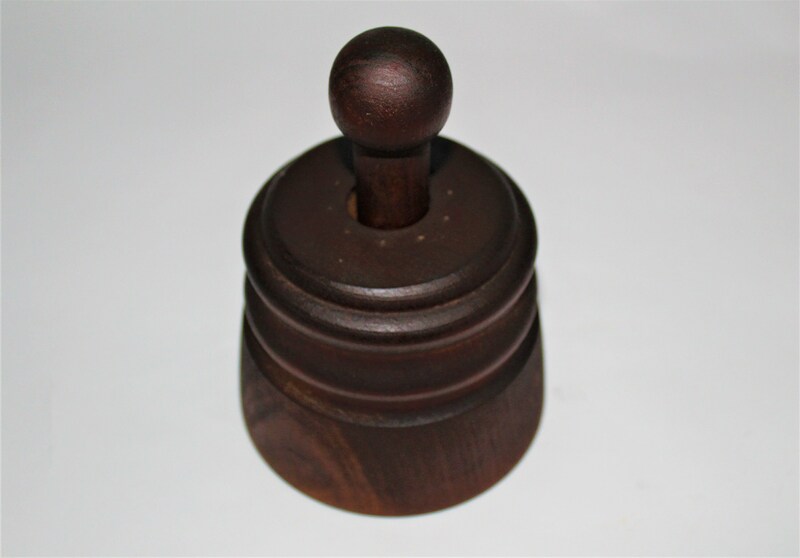 I love this butter press and it was exactly as described.